Family beach days are undoubtedly fun. What’s better than sun, sand, and the peaceful sound of waves crashing against the shore? Although going to the beach is a beloved summer activity, it can also be slightly stressful if you have young children. You need to constantly keep an eye on them, and they absolutely cannot go in the water without you and a life vest. 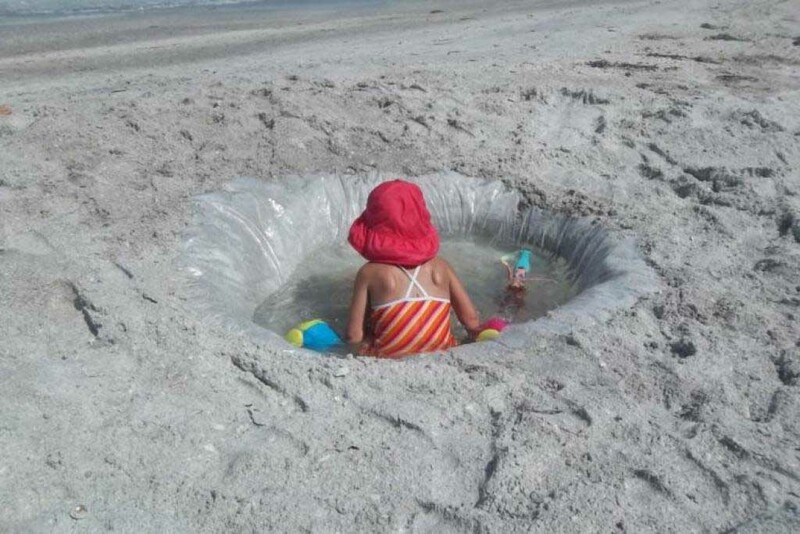 Thankfully, one genius parent came up with a clever hack that will make beach days with young kids a little more relaxed. 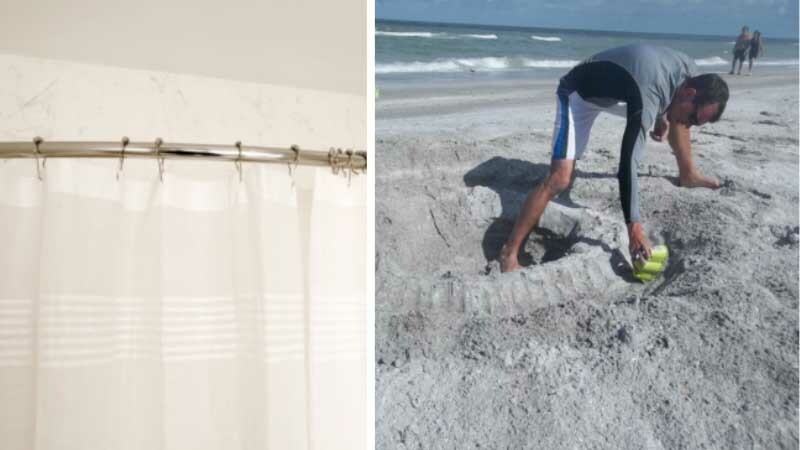 And the best part about this hack is that all you need is a cheap shower curtain liner. Start out by digging a circular, shallow hole. Next, place the shower curtain liner over the hole you have just dug. 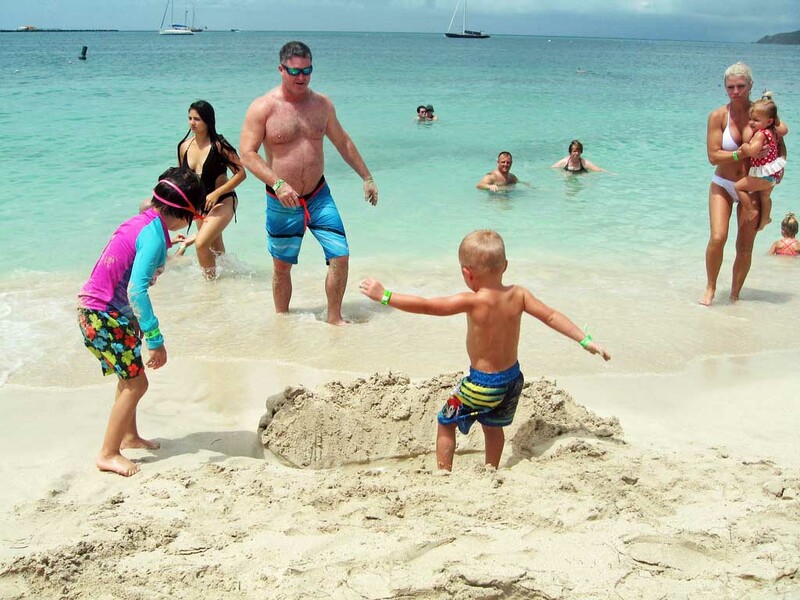 Fill the hole with water, and your kids will have a mini wading pool right there on the beach! 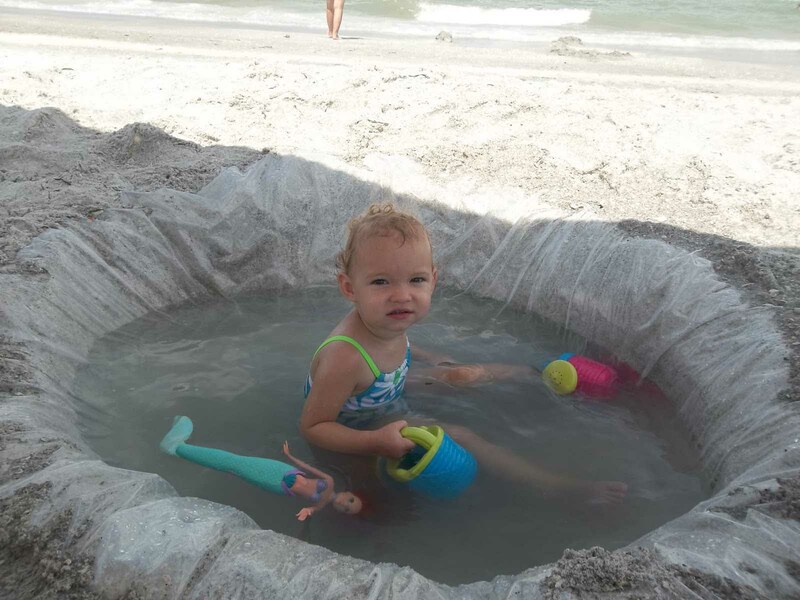 This hack is super useful for parents of young children because they’re able to sit in the water and play with beach toys, but you won’t have to worry about going in the water with them every five seconds. It’s a good idea to plant a beach umbrella near the makeshift pool so that your child is also protected by the sun. Of course, you still have to supervise your children at all times when at the beach. However, this clever parenting hack is more likely to keep them safely entertained, and keeps them within your sight at all times.